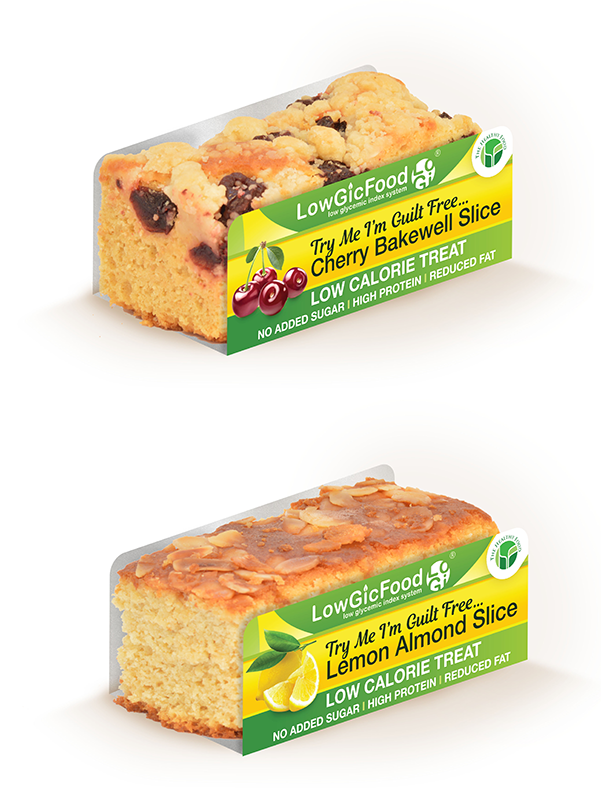 Under 200 calories, our individually packed cake slices provide an indulgent, guilt free treat. Designed with 7 healthy benefits, without sacrificing taste, these are arguably one of UK’s Healthiest cakes. With no added sugar, low GI and high in fibre, they are suitable for a wide range of diets and are available in Cherry Bakewell and Lemon Almond flavours.